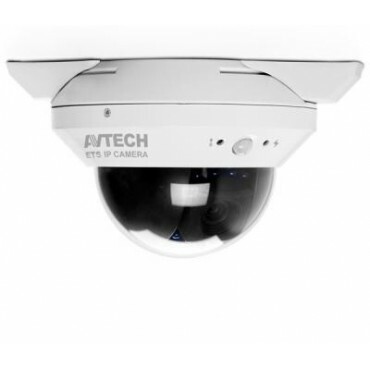 This 2 megapixel camera, AVM428B, is an indoor-use IR dome camera with 12 IR LEDs, and supports HD image display, allowing users to have clear and sharp monitoring pictures. Its IR projection distance could reach up to 10 meters for dark area monitoring, suitable for places like factories or warehouses. It's also capable of connecting external alarm devices, such as a buzzer or magnetic contacts, for function scalability. What's more, POE (power-over-ethernet) is also possible for this camera. For data storage, in addition to use with AVTECH NVRs, this camera also supports ONVIF standard to use with other brand's NVR and simplify system integration. This camera supports all kinds of N.O. / N.C. type alarm sensors; for example, active infrared sensor, smoke detector, magnetic contacts and so forth to extend the flexibility of IP surveillance.